Munich is a great place to visit for many reasons: the culture; the parks; the stunning architecture; the festivals; the surrounding beauty of Bavaria, the list is endless but what about the delicious delicacy the city is most famous for? Beer! From Munich’s many brewhouses to its beer gardens (which boast the best atmosphere in the summer months), Bier is at the heart of Bavarian culture. And what best soaks up beer? Hearty, carby, delicious, traditional Bavarian food. Whilst on a culinary tour of Munich, I recommend looking past the restaurants and instead head to one of the city’s many local food markets such Viktualienmarkt. Located just off Marienplatz, Viktualienmarkt is the city’s favourite. Here you will find quite literally all the Bavarian food you could wish for, making it the perfect place to refuel after sightseeing. Bratwurst (a type of German pork sausage that is usually fried or grilled) comes in a plethora of forms. On its own, it is often served with a bun and sometimes topped with mustard. 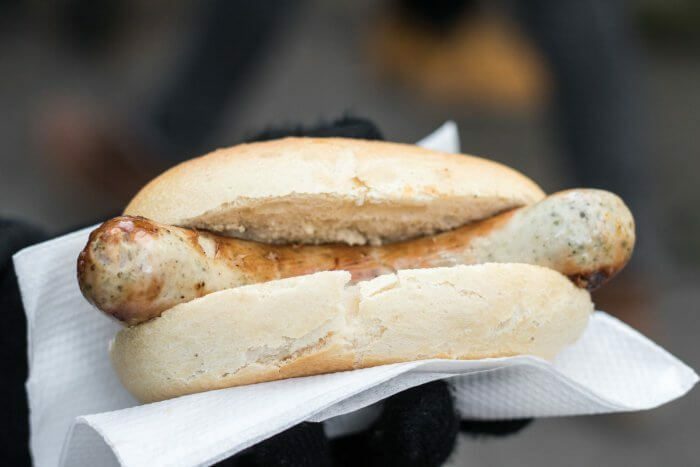 Bratwurst is also often paired with sauerkraut, a food which translates to ​“sour cabbage” and tastes far better than it sounds! Another famous bratwurst dish is currywurst, otherwise known as Germany’s answer to McDonald’s or Britain’s fish and chip shops. Currywurst is a street-food meal consisting of steamed, then fried, pork sausage seasoned with curry ketchup (a spiced ketchup sauce, topped with curry powder). Love it or hate it, it cannot be missed on your trip to Munich, or anywhere else in Germany for that matter! Those delicious pretzels I mentioned previously? They are a meal in their own right in Bavaria! Munich and the rest of Southern Germany take pretzels very seriously. Not your average little hard-crispy pretzel, these are fresh-from-the-oven, enormous, soft, fluffy treats. Enjoy a pretzel from a bakery as an afternoon snack or at the local beer garden, paired perfectly with a German beer. 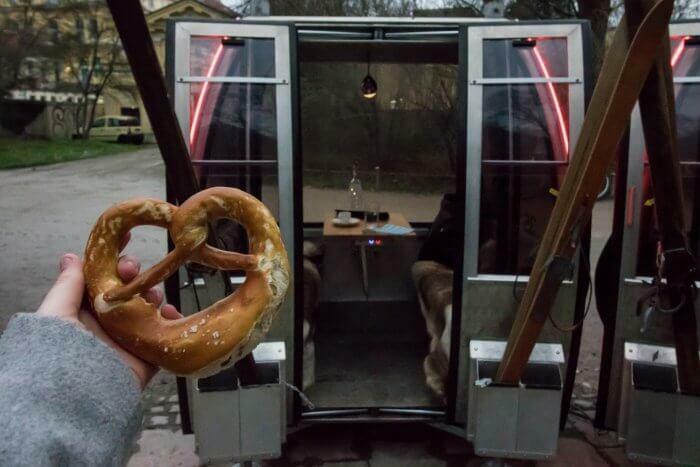 Top tip: Find these cute and very romantic cable car pods at a little takeaway kiosk in the Englischer Garten! You may be thinking that schnitzel is Austrian in origin, which is true, but it’s just as common in Germany! If you’ve never tried it before, schnitzel is meat that is usually thinned after being pounding with a meat tenderizer and then fried. In Munich, this meat is typically pork although turkey and veal are also common. 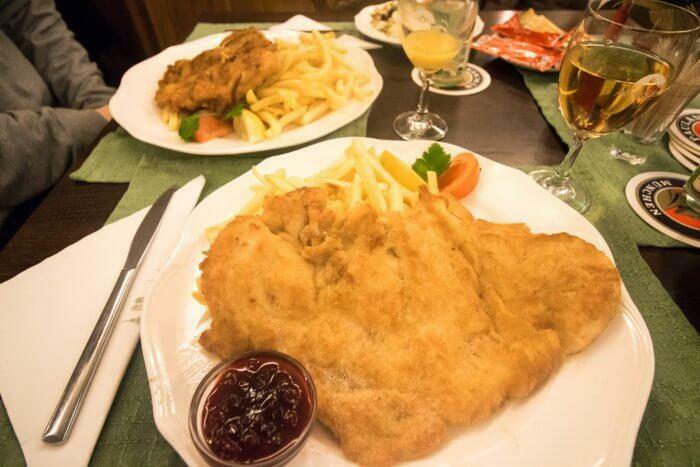 Schnitzel can be served with a whole host of sides, from french fries and salad to spätzle, a scrumptious German noodle/​dumpling/​pasta concoction that you absolutely can’t say no to. It’s not hard to stumble across delicious desserts whilst exploring Munich, especially when street food is involved! One of Germany’s most beloved desserts is apfelstrudel (or strudel of any kind, really). 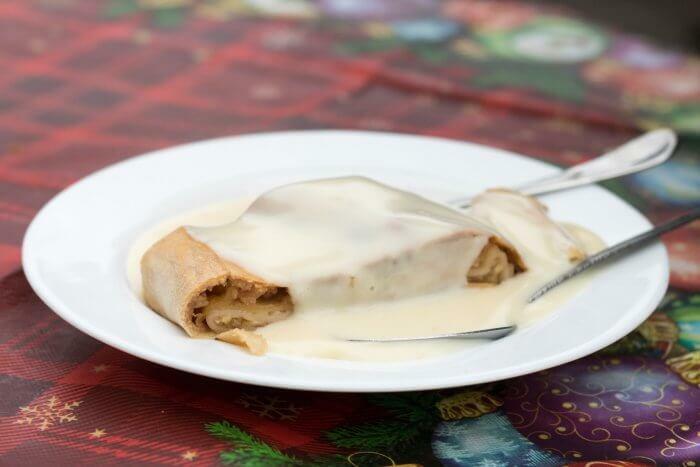 In Germany, there is a handmade tradition of making the strudel by rolling the entire widespread dough into fine sheets and filling it with yummy apple mousse or crispy apple chunks. Soaked in cream, apfelstrudel makes for the perfect afternoon snack or evening dessert. Bavarian beer needs no introduction. The region accounts for more than 50% of Germany’s national production of brews. Whether you’re visiting Munich during Oktoberfest or not, there’s no better place on earth to glug down a warm beer stein. Visiting a beer garden is a must for any visitor to Munich. There are many beer gardens dotted around the city, usually in the most idyllic spots like the Englischer Garten. 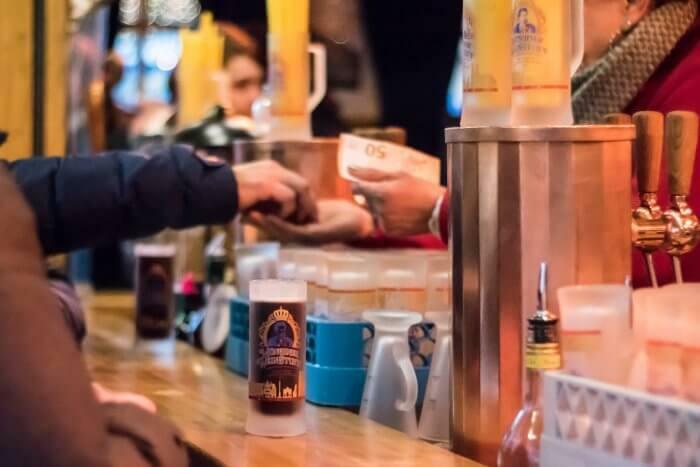 Beer gardens are also fantastic places to find a range of hot and cold traditional Bavarian dishes – plus, you can even bring your own food to save money! Gluhwein (otherwise known as mulled wine) isn’t an inherently Bavarian beverage but since I visited Munich just a few days before Christmas, I thought it deserved an honourable mention! 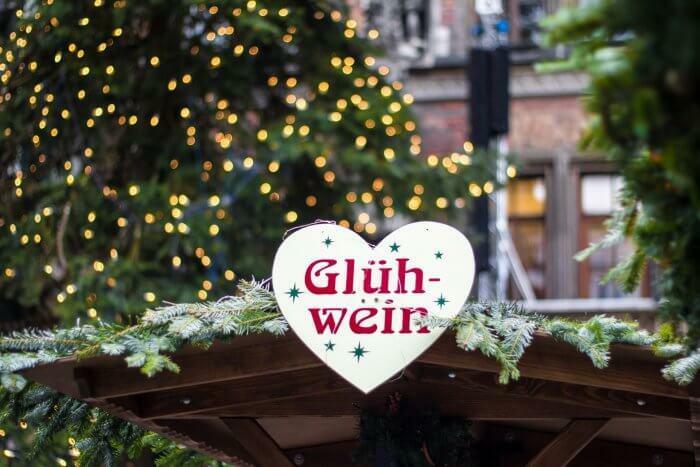 Wandering around Munich’s famous Christmas Markets with a hot mug of gluhwein is a sure-fire way to get yourself into the festive spirit.